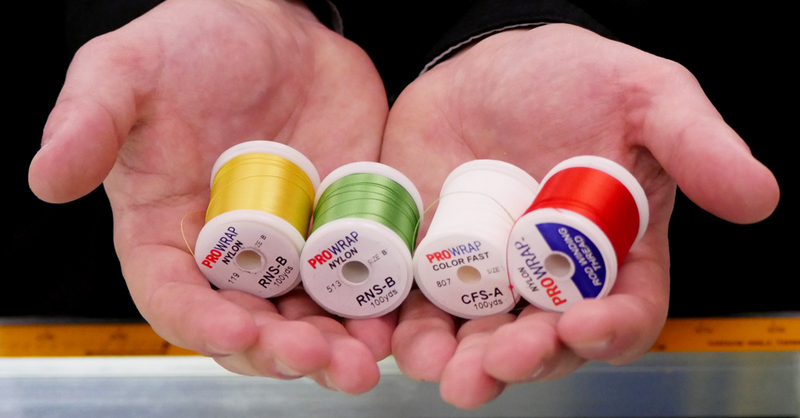 Many people ask about which thread needs color preserver and which ones do not, and the answer is any nylon or polyester thread needs color preserver. Metallic threads do not need color preserver. With that being said, it never hurts to use color preserver on anything if you are questioning whether you need it. It will not hurt either way. Size A Thread – Size A thread comes in a diameter of .006. Generally size A thread is used on any freshwater rods or lighter inshore rods. The finished product looks the best out of all the threads because of the small diameter. Size B Thread – Size B thread comes in a diameter of .008. This thread is good for just about anything. It wraps like size D, so it’s a little bit easier to wrap but the finished product looks like size A. So you get the best of both worlds with size B thread. Size D Thread – Size D thread comes in a diameter of .010. Generally this thread is used on heavy off shore rods. 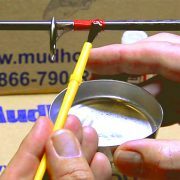 Size D is the overall easiest thread to wrap with too – so if you are new to rod building size D may be the way to go. Most of the time you will see under wraps on heavier rods with double foot guides. A good rule of thumb when wrapping guides with an overwrap is to use size A thread under and size D thread over the top. 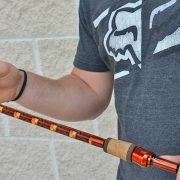 You would wrap size A thread right onto the rod with nothing else there then set your guide on top and wrap over with size D.
Sometimes people will epoxy over the first under wrap of size A thread to make it easier to wrap size D over the top. Once that’s done you will epoxy the whole thing one more time for a nice clean finish.